HAPSENG is forming ascending triangle. 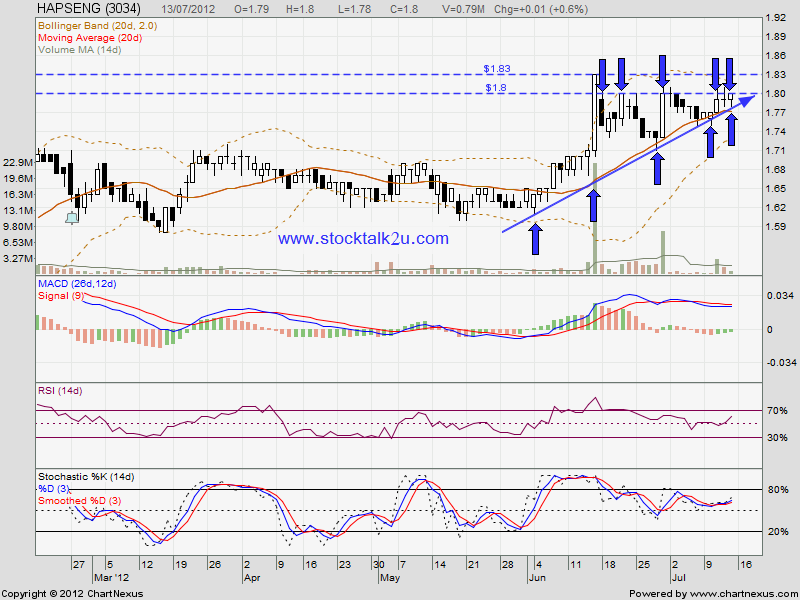 Will it break through RM1.80 strong resistance? MACD trade at positive region, uptrend itinerary. Stochastic %K already trigger BUY call. 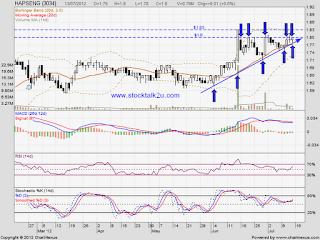 If able break through RM1.80 level, it will create new higher high. Immediate support @ MA20 level / lower triangle support. Care to do a chart on Hap Seng Plant...?